You’ve got coupons. Now what? Sure, coupons will save you money, but only if you know how to organize and use them effectively. Plus, not all coupons are worth saving – especially if they’re for items that you’ll never use. If you haven’t yet found the perfect method for keeping tabs on all those little pieces of paper, it might be because you don’t have the right system. A coupon binder is one of the best methods for keeping track of all of your discounts. For one thing, the binder setup can easily hold 100+ baseball card sheets, which are perfect for organizing coupons. 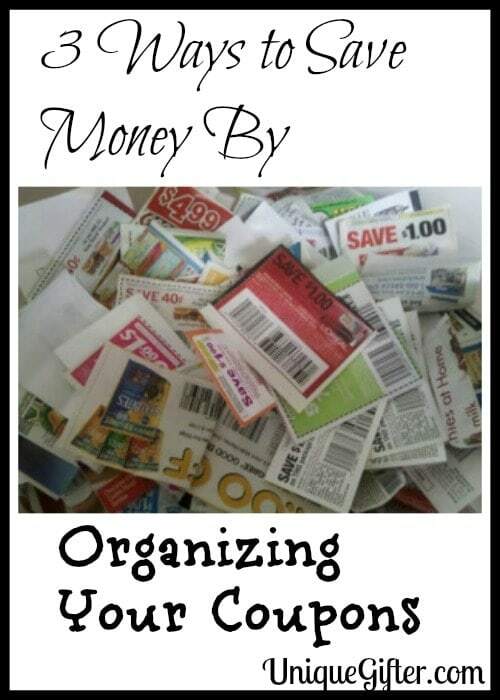 If you’re serious about couponing, you can even organize everything alphabetically. Most binders have a place in the front for miscellaneous papers, pens, pencils, and a calculator – all useful things to have when you’re at the grocery store. Because baseball card sheets tend to be rather snug, you really don’t have to worry much about your coupons falling out. This dandy little organizer is actually more than just an organizer – it’s a coupon system. Yeah, that sounds a little nutty at first, but then you realize that couponing can easily become a fill-time job if you’re not careful about it. Ever try to sort out 500 coupons from SumoCoupon using nothing more than a DIY binder? It’s a nightmare. Instead of just leaving you to your own devices, the couponizer comes with a 20-page tear-off list pad with a sturdy cardboard backing. It’s also got something called a CoupStacker, which is a way to sort out all for the deals you’ll be getting using a color-coded mat. The system also comes with scissors and a carrying bag. Finally, the booklet itself has 18 grocery coupon pockets with 4 non-grocery pockets, and 3 gift card holders. It’s pretty much what it sounds like: a huge file folder that you fill up with coupons. Most of them are only about two inches wide, but they expand – giving you easy access to everything you need. The benefit with this method isn’t necessarily in the folder itself but rather what you can do with the folder. Accordion-style folders lend themselves to tabbing, which is a great way to stay organized. They have a small footprint too, so you can carry it around the store with you and not worry about flipping through pages – it’s incredibly efficient. This one is particularly fun if you also happen to like scrapbooking. It’s not always the easiest or most organized system, but there’s an element of fun to it. You can still tab pages using sticky notes, if you like. If you get the books that hold 4×6 prints, organization is a bit easier and you don’t have to dedicate one page or “file” to one type of coupon like you have to with the file method. This method also allows you to mix it up a bit – put one large card holder in the book so that you can hold full-page ads and spreads. Russell Matthews is a home organizer. He loves passing on his tips for being organized around the house through blogging. There are a lot of coupons that can be used to buy wedding gifts! Especially the very frequent 20% off any one item coupons from Bed Bath and Beyond. Not a fan of the binder. It's clunky, hard to keep up, and some people cop an attitude when they see it. Why would you throw away a coupon? I don't like Gillette but the current $6/3 is a moneymaker so I get free stuff plus money off my cart. I think they work best when they're the at-home filing system. Coupons that don't work for you can be a great way to donate to the food bank! I use a "database" and envelope system. Since we usually have a couple hundred (or more) on hand at any time, it just is easier to have it all in an Excel file. Or maybe I'm just a huge geek who tries to improve life through Excel…. Yes, I think your system is spot-on and how my brain thinks as well. Maybe we're both geeks? We don't have coupons here but you better believe I'll be organizing them when we move home! I can just smell the new organizing supplies now haha! Hahaha, go you! They're not nearly as useful in Canada as they are in the US, but you can still save money using them here.